The Game of Dancing Doggies Jump, jive, and wag your tail! Draw cards to get these peppy perritos to join your doggy dance-a-thon. Paw away another player’s pups with some fetching food, but watch out for "siesta" cards that will send your dog-tired dancers straight to the Nap Shack! 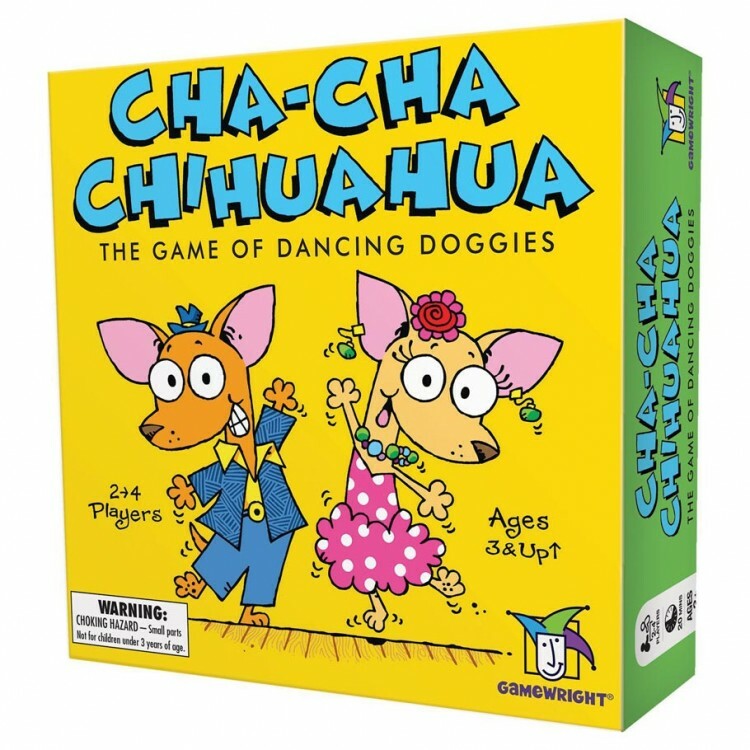 End the party with the most Chihuahuas on your dance floor and you’re the cha-cha-champ!